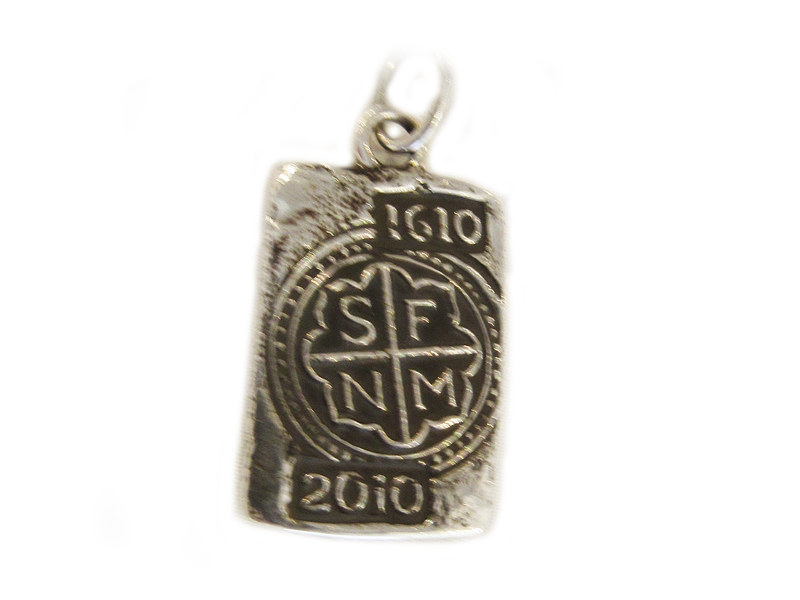 Silver Bullion Santa Fe Charm handmade by Santa Fe artist Douglas Magnus. The charm measures 1″ inch long by 5/8″ of an inch wide. Chain sold separately. 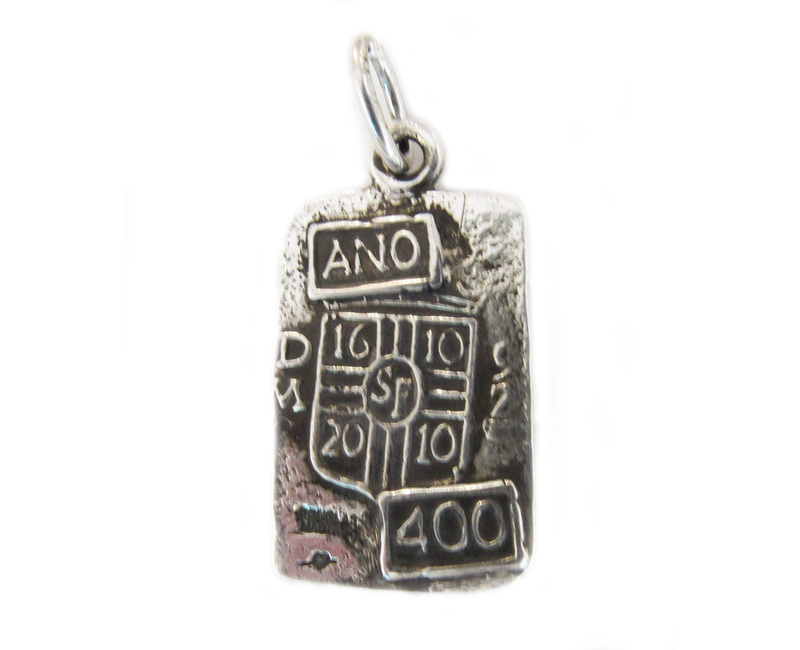 This commemorative sterling silver charm is a handmade representation of Santa Fe’ s 400 years. “La Villa Real”, The Royal City, was officially founded by Spaniards in 1610 at the sites of “Ancient Ones: (pueblo peoples and ancestors), going back thousands of years. From then ’ til now Santa Fe has figured prominently in the history and cultural diversity of the Southwestern United States. This inspired jewelry artist, Douglas Magnus, to create the ‘ Santa Fe 400 Treasure Collection. What a fabulous piece of wearable art to commemorate your experience in Santa Fe. 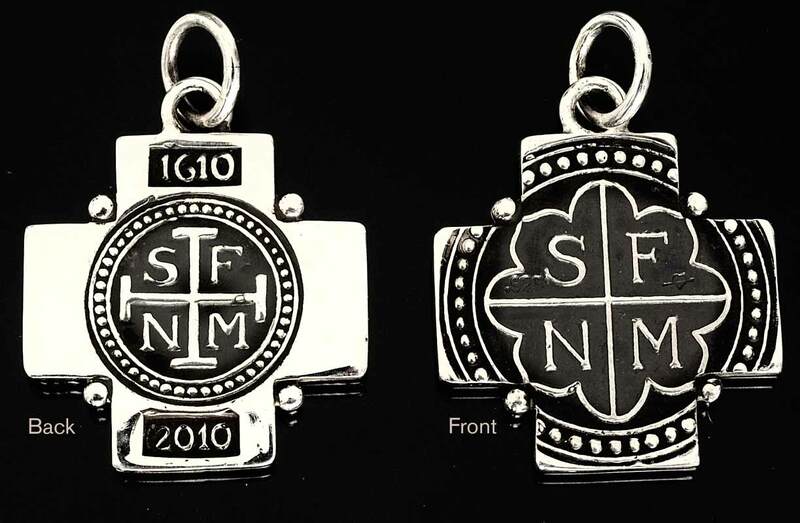 The Santa Fe sterling silver bullion charm is 1” long by 5/8″ of an inch wide and you can wear it with a necklace chain or on a charm bracelet. Douglas Magnus’ s extensive portfolio dates back to 1972. Working in the traditional heritage styling, materials and methods, he expands those horizons. His work is both ancient and modern, familiar yet fresh, and ever reaching beyond. Douglas Magnus is a renowned Santa Fe jewelry maker and fashion accessory designer. He is known for his high grade turquoise items that often feature turquoise mined from Doug’s own mines, the Tiffany Cerrillos Mines, located 17 miles outside of Santa Fe. These are a series of mines that were originally worked by Native Americans from the Chaco Canyon area in New Mexico some thousand plus years ago. Douglas Magnus (b. 1946) moved to Santa Fe in the late 1960s, following his childhood in Los Angeles, California and Silverton, Colorado, and a formative two years with the U.S. Army in El Paso. 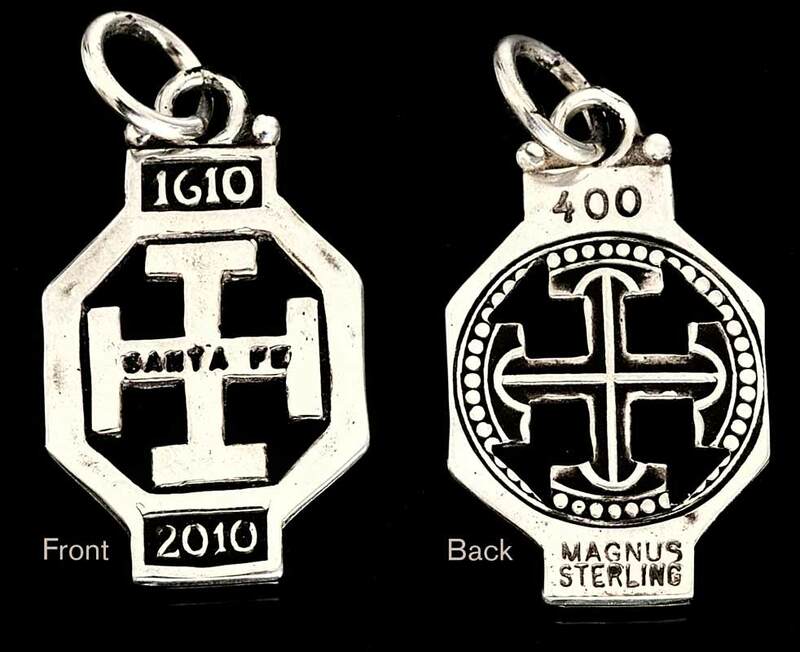 Magnus uses the finest silver and gold stocks, and methods ranging from the most ancient to the most contemporary to create his pieces. 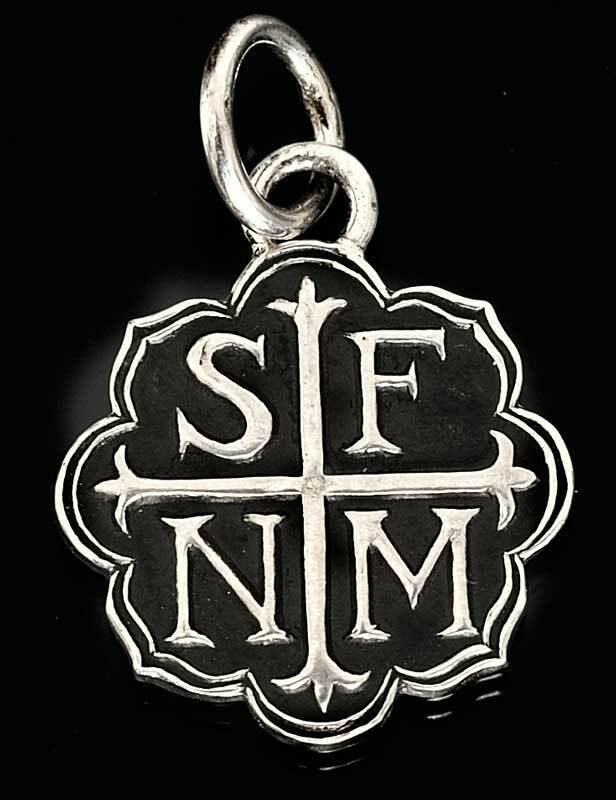 Magnus lives and works in Santa Fe, New Mexico, conceiving original designs and finished products from turquoise, silver, gold, and other materials. He is also a prolific painter, embracing numerous subjects such as interiors and figurative works, while partial to plein air paintings created on site at his mines.